Objective: The objective of this study is to evaluate the neutrophil-to-lymphocyte ratio (NLR) and platelet–lymphocyte ratio, from the hemograms obtained from children and adolescents with dilated cardiomyopathy (DCM), and to correlate them with the levels of B-type natriuretic peptide (BNP) and with the clinical evolution of these patients in the long term. Materials and Methods: Follow-up of 57 patients with DCM was made retrospectively, with hemogram and BNP level determination being performed after optimized therapy for heart failure. 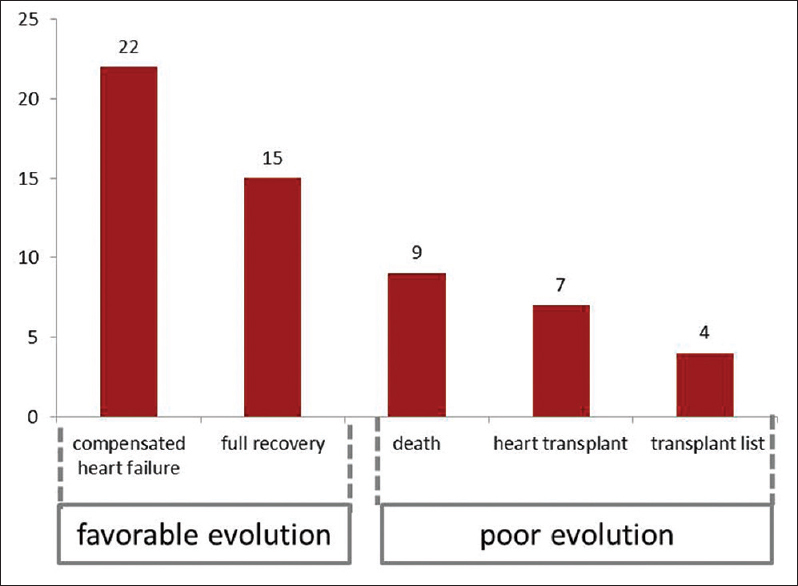 We compared the findings of the patients' examinations that progressed with stability in relation to the occurrence of transplant listing, cardiac transplantation, or evolution to death. Results: The average age was 48 months, and the follow-up was 64 months. The average of the levels of neutrophils was greater in poor evolution group (7026 vs. 3903; P = 0.011) as well as the average of NLR (5.5 vs. 1.9; P = 0.034). The averages of hemoglobin, total leukocytes, lymphocytes, and platelets were similar in the groups. The area under the receiver operating characteristic curve for NLR in relation to the poor evolution was of 72.9%, being the best cutoff point of NLR ≥5.2 (sensitivity: 93.8% and specificity: 87.8%). Kaplan–Meier curves demonstrate that patients with NLR ≤5.2 (P = 0.001) and BNP <1000 pg/dl (P < 0.0001) presented greater survival. Conclusions: NLR (≥5.2) and lymphopenia (≤1000 lymphocyte/μL) were associated with a poor prognosis and a higher chance of evolution to death or cardiac transplant, similar to the findings for BNP. Background: Iron-induced cardiomyopathy remains the leading cause of mortality in patients with β-thalassemia major. 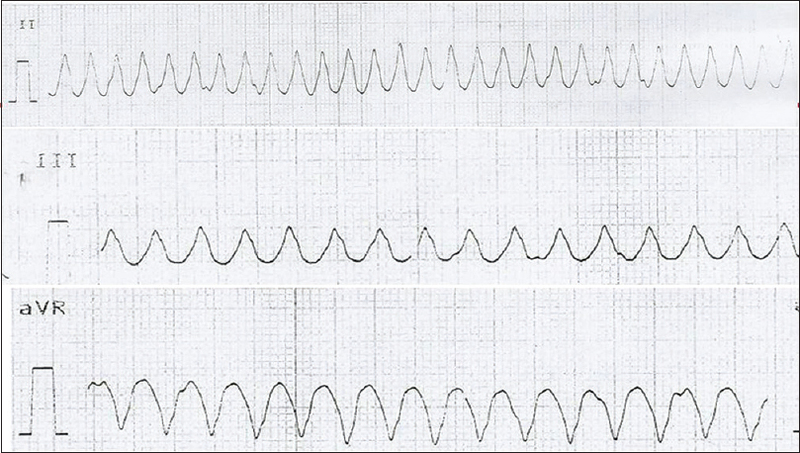 Iron overload cardiomyopathy, which may be reversible through iron chelation, is characterized by early diastolic dysfunction. Amino-terminal pro-brain natriuretic peptide (NT-proBNP) is a sensitive biomarker of diastolic dysfunction. Aim: The aim of the study is to evaluate the diagnostic value of NT-proBNP as a surrogate marker of iron overload examined with magnetic resonance imaging T2-star (MRI T2*). Methods: Sixty-eight β-thalassemia major patients (10–18 years) with no signs of heart failure underwent NT-proBNP measurement before routine transfusion. All participants prospectively underwent cardiac MRI T2* examination within 3 months (median 19 days). Patients were divided as cardiac hemosiderosis (cardiac MRI T2* <20 ms) and nonhemosiderosis (cardiac MRI T2* >20 ms). Results: Of 68 patients, the male-to-female ratio was 1:1.1 and the median age was 14.1 years (range: 10–17.8 years). NT-proBNP levels were not different between hemosiderosis and nonhemosiderosis patients (P = 0.233). Further receiver operating characteristic analysis resulted in no significant correlation of NT-proBNP and MRI T2* (area under the curve 0.393, P = 0.233). 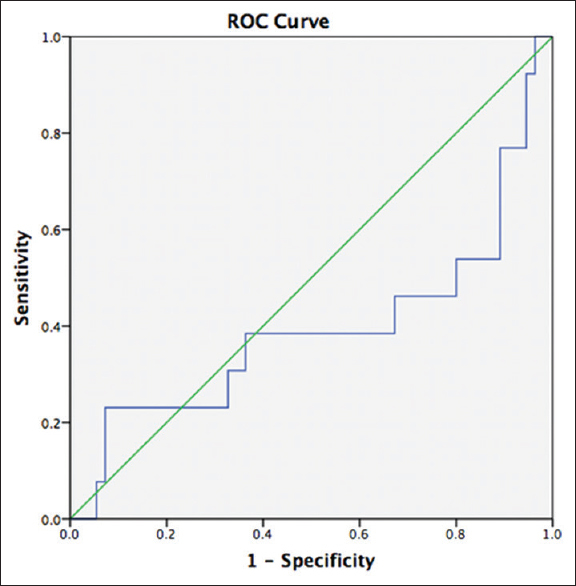 Conclusion: Measurement of NT-proBNP levels cannot be used for early detection of cardiac iron overload in adolescent with β-thalassemia major. Background: Evaluating outcome and identifying predictors of major complications among children undergoing cardiac surgery are essential to improve care. We evaluated short-term outcomes of postcardiac surgery and predictors of major complications in a national referral hospital in Indonesia. Methods: A prospective cohort study was conducted from April 2014 to March 2015 on all children undergoing cardiac surgery. Participants were followed up from the time of surgery until hospital discharge and 30-day mortality. We performed univariate and multivariate logistic regression using STATA 12-1 to identify predictors of postsurgical major complications. Results: A total of 257 patients (median age: 36 months) were recruited; 217 (84.1%) had complications, including low cardiac output syndrome (19.8%), arrhythmia (18.6%), sepsis (17.4%), and pleural effusion (14.8%). Forty-nine (19%) patients had major complications, including cardiac arrest (5%), need for emergency chest opening (3.9%), and multiple organ failure (7.4%). 12.8% died during hospital stay, and 30-day mortality was 13.6%. Predictors of major complications were cyanotic congenital heart disease (odds ratio [OR]: 4.6, 95% confidence interval [CI]: 1.5–14.2), longer duration of cardiopulmonary bypass (CPB, OR: 4.4, 95% CI: 1.5–13.4), high inotropes (OR: 13.1, 95% CI: 3.2–54.2), and increase in lactate >0.75 mmol/L/h or more in the first 24 h (OR: 37.1, 95% CI: 10.1–136.3). Conclusion: One-fifth of children undergoing cardiac surgery experienced major complications with around 13% mortality. 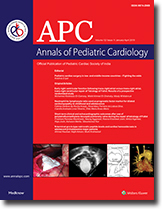 Cyanotic congenital heart disease, longer duration of CPB, high inotropes on leaving operating theater, and increase in blood lactate are associated with major complications in children after cardiac surgery. Background: Cardiac rhabdomyoma (CR) often shows spontaneous regression and needs close follow-up. These tumors may be associated with tuberous sclerosis complex (TSC), caused by the disinhibition of m-TOR protein. Objective: The aim of the study is to observe the efficacy of everolimus in infants with significant CR. 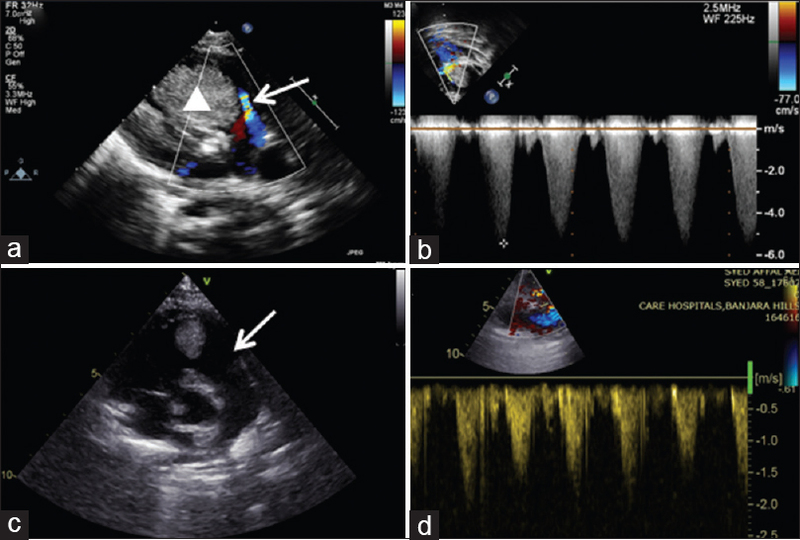 Materials and Methods: This is a single-center prospective observational study including infants with significant CR causing either clinical symptoms or obstruction to the blood flow. Everolimus was administered at a dose of 4.5 mg/M2/wk till the symptomatic improvement. Liver and renal function tests were monitored during treatment. Results: There were six cases of suspected CR included in the study. Median age and weight of patients were 5 days (range: 1–90 days) and 3.2 kg (range: 2.2–4.5 kg), respectively. 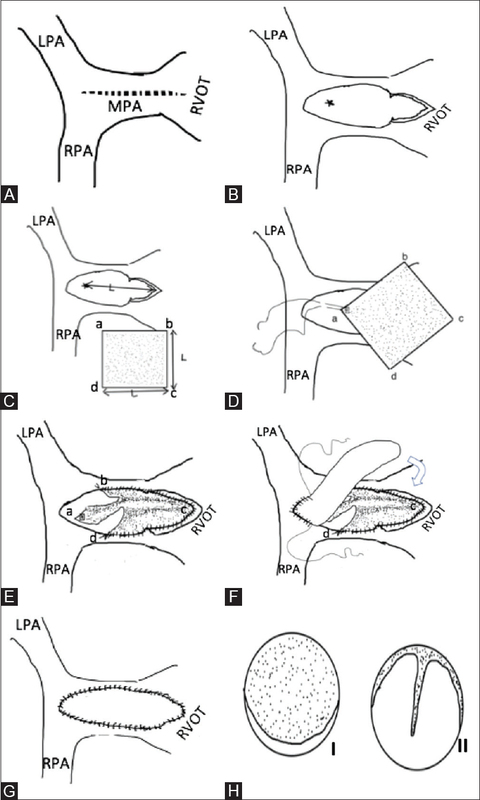 One patient was excluded after surgical excision biopsy during concomitant closure of associated large perimembranous ventricular septal defect confirmed it as a fibroma. The remaining all five cases showed regression of tumor during mean follow-up of 6.1 ± 5.1 months. One child developed varicella infection necessitating temporary discontinuation of medicine during follow-up. One case had sudden death at 4 months of age. Conclusion: Everolimus appears to be useful in selected cases of symptomatic CR. Multicentric studies are needed to determine its safety and efficacy in larger population. 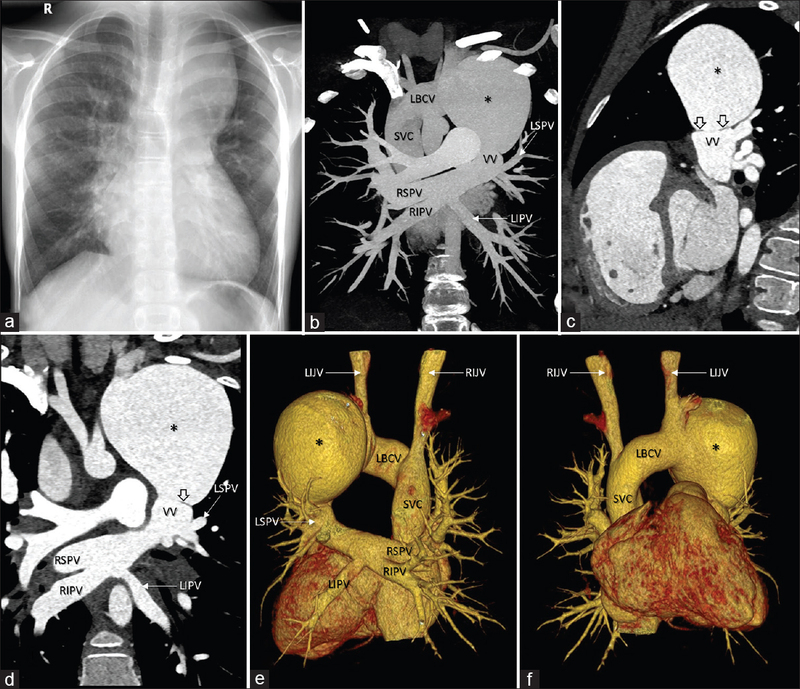 Fontan completion in patients with complex cardiac anatomy, and specifically heterotaxy syndrome, can present unique physiologic considerations. For example, existing venous connections may be “unmasked” after a cavopulmonary anastomosis operation. 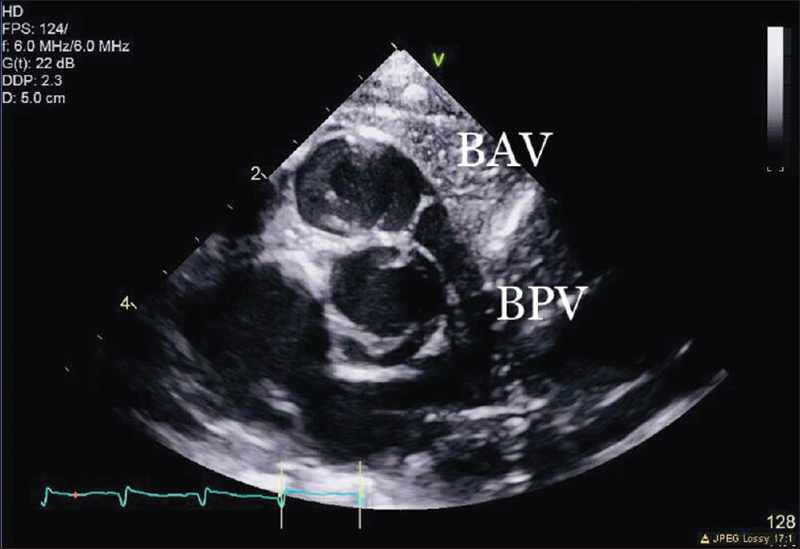 We present the case of a child with heterotaxy, dextrocardia, single-ventricle physiology, and anomalous hepatic venous drainage that resulted in profound shunting and cyanosis. 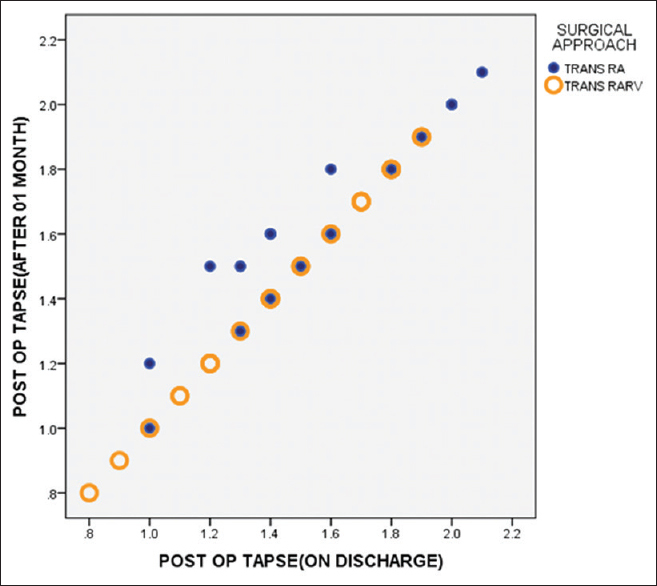 We addressed the problem utilizing a novel strategy with a “fenestrated” covered stent. Unroofed coronary sinus, an unusual form of interatrial communication, is a rare cardiac anomaly. 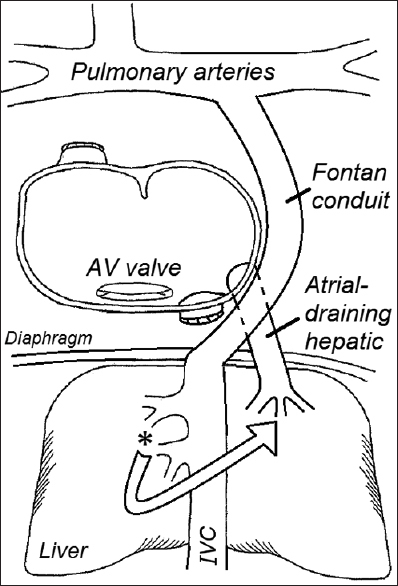 It is not a true defect of the atrial septum. It is described as a partial (focal or fenestrated) or complete absence of the roof of the coronary sinus, resulting in a communication between the coronary sinus and left atrium. It is presumably the least common variety of defects associated with interatrial shunting. 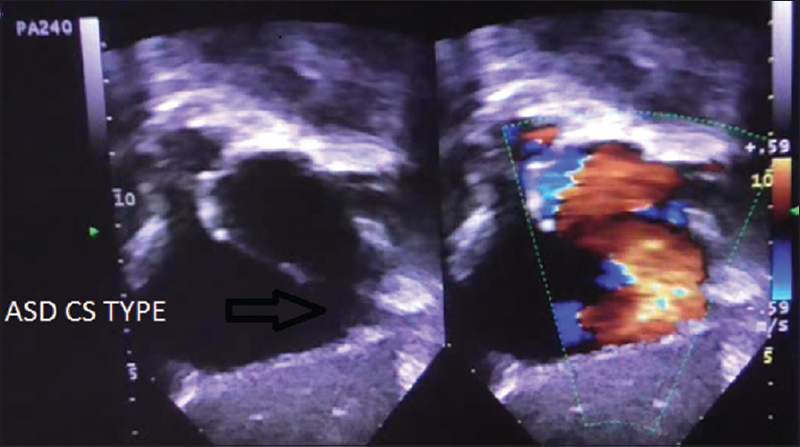 Such defects are often difficult to diagnose and may even be overlooked during surgery for complex congenital heart disease. 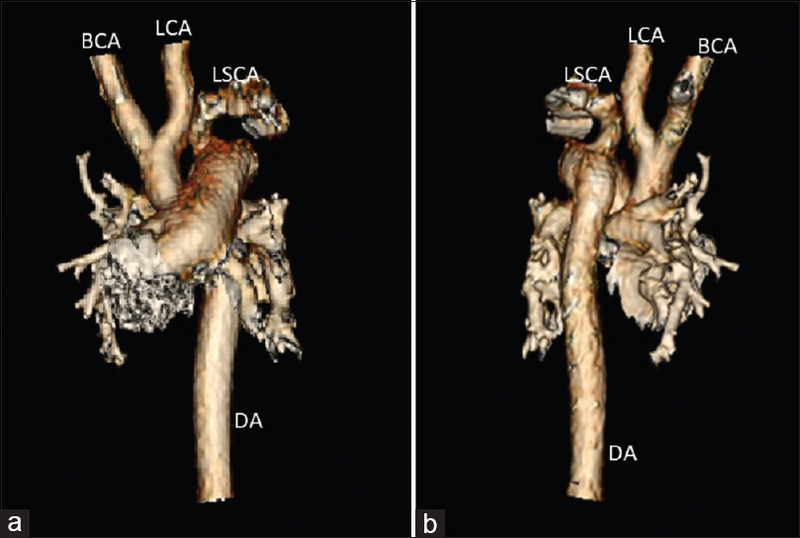 In most cases, they are associated with a persistent left superior vena cava, pulmonary or tricuspid atresia, and hearts with isomeric right atrial appendages. 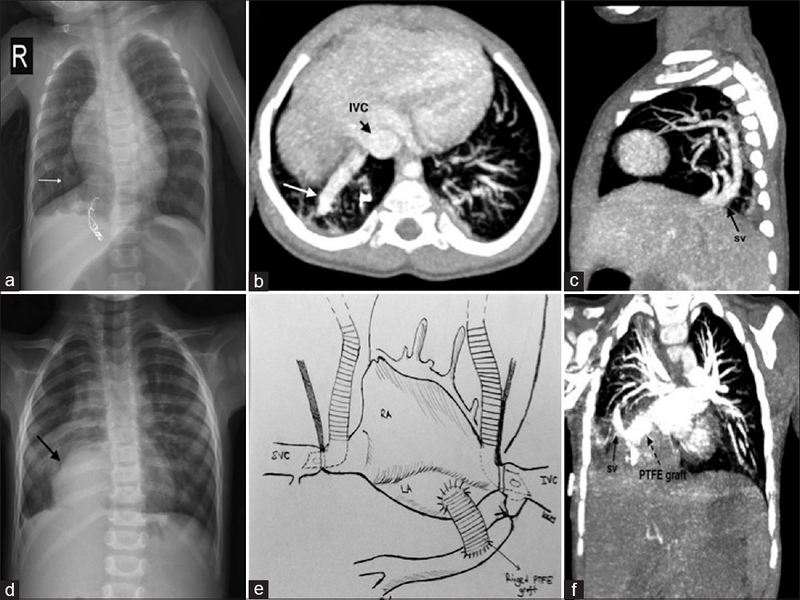 We report a case of this unusual form of interatrial communication without any associated anomalies in a 7-year-old girl child who presented to us with exertional dyspnea.